The Global energy demand has created a huge market which has seen countries requiring more energy to power their infrastructural developments and create an enabling economic growth over the past two decades. Solar power technology which has gained global acceptability has ultimately become the main driver in the energy market, with developed countries deploying its potential in boosting its renewable target. The creation of blockchain technology has further accelerated solar energy penetration in the energy market. Speaking about blockchain and solar technology together is like a breath of fresh air for humanity. Technology itself empowers us to conduct business transactions efficiently and safely, build open and fair energy governance system, build network of reliable business partners and speed up welfare around Africa, which coincidentally has one of the poorest power generation records globally. In cryptocurrency space, the base technology has become a great enabler for many conventional businesses and energy is one of such space. But there is still a human factor, which may be the reason humanity fails blockchain revolution. Fraud, theft, phishing and even personal incaution pose a threat to the emergence of this new technological innovation. Over the years, there has been substantial improvement in security aspect of blockchain space. Now users are secured with the all-important technology solution. While Solar power business is becoming a buzz words in these days across major countries in the world, very few understands the core issues of people. There are two key issues which are beyond other issues facing the nation. These are financing and reach. People need power for daily living, but they hardly can afford such big investment in the absence of a stable grid power. The other issue is to extend the reach in remote area in a structured manner which can be efficient yet simple for users and the business owners. For every business, it is Solarex (SRX) - new generation blockchain technology enabled Solar Power Solutions essential that investment and sales revenue must be protected from misuse. Here comes an innovative solution which is conceived in the business model of SOLAREX. This is a futuristic, technology enabled and secured framework of tomorrow’s solar global business with special focus on Africa, Asia and South America. The blockchain technology is adapted to much needed security around transaction and metering of solar power in decentralized mode. At the same time, funding is planned via launching of Solarex utility token to generate financing for leasing of Solar PV. This way, people can have access to clean and affordable power mostly opex model and pay for only units, they consume. Our integrated solution is going to begin a new era where everyone can access to energy in a secured manner. Solarex ICO For Green world. Solarex ICO Powering Africa Project. Solarex ICO phase1 is live! please purchase the solarex ICO and get 20% discount. Arabic & the latest is Spanish. 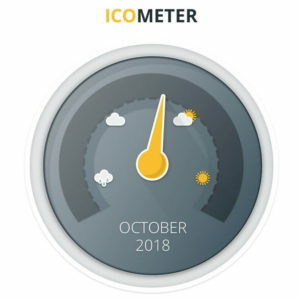 ICO PHASE1 LIVE! 20% BONUS.